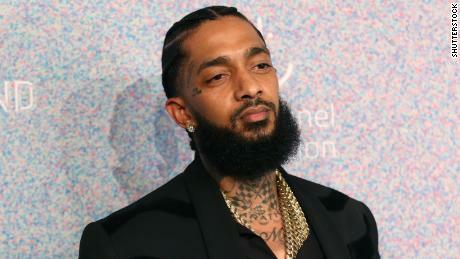 Moore declined to elaborate on the feud between the two, saying he didn’t want to jeopardize any potential prosecution, but he said the suspect — who has been identified via surveillance video and witnesses as 29-year-old Eric Holder — approached Nipsey and others multiple times, engaging them in conversation. At one point, Holder returned with a handgun and “purposely and repeatedly fired” at the men, injuring two of them and killing the rapper, he said. Holder should turn himself in, Moore said, warning the community that anyone who helps him or the getaway driver avoid arrest will be prosecuted. “There should be no safe haven for this individual. He poses an imminent risk to public safety,” he said. Though the rapper was a member of an arm of the Crips street gang and police believe Holder belongs to a gang as well, Moore declined to specify any gang affiliation and said the dispute between the two does not appear gang-related. 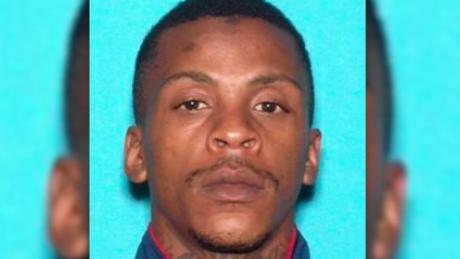 The manhunt for Holder unfolded as surveillance video emerged showing the moment Nipsey and two others were shot Sunday afternoon. The Grammy-nominated artist was among four people standing between cars outside The Marathon Clothing store he owned in Los Angeles’ Hyde Park neighborhood, video from a surveillance camera trained on the parking lot shows. It is not clear which of the four is Nipsey, but they appear to be casually talking as others mill about in front of the store. A figure dressed in dark clothing appears to approach the four, and everyone scatters. Two of the people standing by the car don’t get far. They fall to the ground. One of them, wearing a white hat and shirt, tries to get back up but promptly collapses, the video, which has no sound, shows. It is not clear if the figure in dark clothing is Holder, who police say is wanted in the homicide. Late Monday, about 300 people gathered around a candlelight memorial in The Marathon Clothing parking lot, feet from where the rapper was shot, when a person with a gun spurred the mourners to take off in every direction, police said. There were initial reports of gunshots, but police quickly knocked down those reports. Moore acknowledged that two women showed up at a hospital late Monday night saying they had been shot at the vigil, but he said one of his commanders was near the scene and heard no gunshots. “I’m lacking information that a shooting occurred,” the chief said. The crowd fled, he said, after someone at the vigil produced a handgun and another person tried to disarm the individual. A stampede ensued. “When we were watching it from footage from overhead, it was literally people scattered in all directions,” she said. The panic came about 8:15 p.m., Moore said, and “as (the crowd) fled, we had a series of falls and trips and injures.” One individual was stabbed in the melee, but police have no suspect, he said. Video from KCAL/KCBS shows mourners abruptly running through and around the candle-and-balloon memorial and into the street. Police with riot gear and batons begin forming containment lines. People carry away the injured as emergency responders tend to people on the ground, the affiliate video shows. Some present threw rocks and bottles at police officers, and an officer suffered a “serious cut” to his hand, requiring sutures, Moore said. At least one person was detained for disorderly conduct, Aguilar said. Nineteen people were transported to the hospital, most of them with trample injuries, the Los Angeles Fire Department said. Two suffered critical injuries, and two more were hurt seriously. One person was hit by a car, the department said. None of the injured people suffered gunshot wounds, Los Angeles police said. The grainy video of Nipsey’s shooting does not provide much in the way of detail, but police late Monday offered additional information about the shooting. At about 3:20 p.m. Sunday, the suspect walked up to the men standing in the parking lot and opened fire, police said. He then ran down an alley and jumped into the passenger side of a car driven by an unidentified woman, they said. The car was a white, four-door 2016 Chevrolet Cruze with the California license plate 7RJD742, police said. Two people were transported to the hospital; one refused treatment at the scene, and Nipsey died from gunshots to the head and torso, authorities said. The 33-year-old rhymesmith was a mainstay of the Crenshaw District where he grew up. He owned businesses there, invested in the community and counted several Los Angeles rappers among his influences and collaborators. Two of his mixtapes — “Slauson Boy Vol. 1” and “Crenshaw” — took their names from the area. The Marathon Clothing store sits near West Slauson Avenue and Crenshaw Boulevard. Though Nipsey released several mixtapes independently or through his All Money In record label, his studio debut, “Victory Lap,” dropped last year and was nominated for a Grammy. Before his death, Nipsey, a member of the Rollin 60s Neighborhood Crips, had requested a meeting to discuss ways to mitigate gang violence, Los Angeles police Commissioner Steve Soboroff said Tuesday, sharing an email he received from the rapper and Jay-Z’s Roc Nation. CNN’s Christina Maxouris and Joe Sutton contributed to this report.